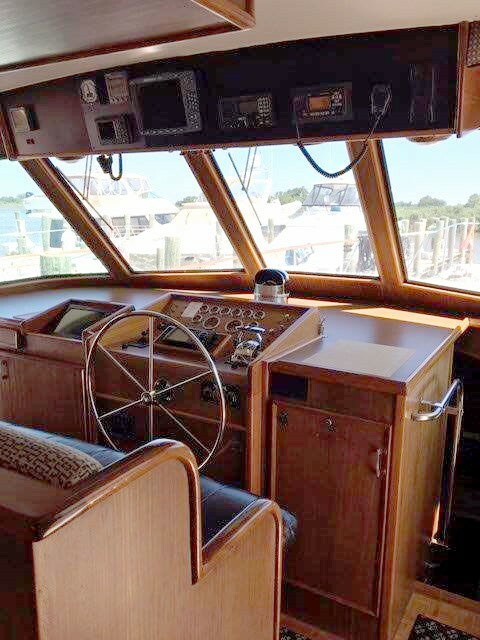 This exceptional motor yacht offers charterers an expansive, well-appointed vessel to cruise the Chesapeake. 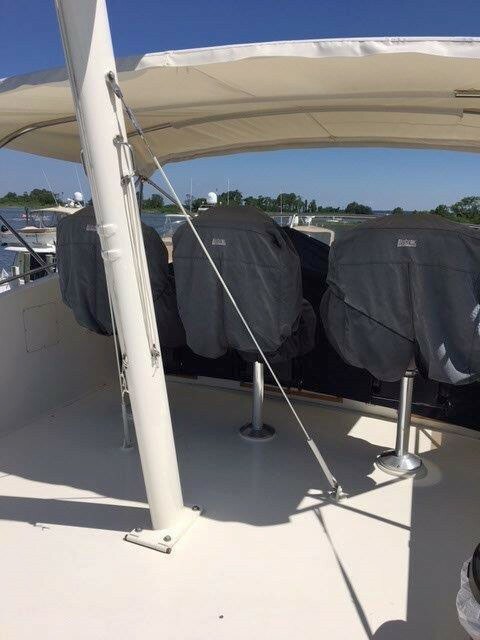 The flybridge features a captain’s helm seat, two mate seats, a generous L-shaped settee and cocktail table. 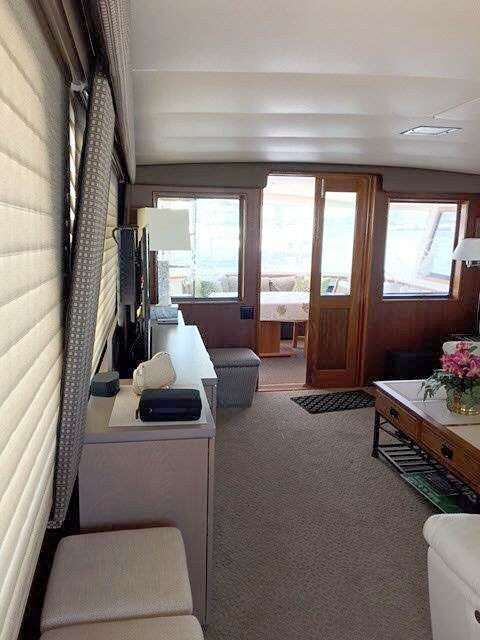 An aft cockpit, wide side decks and foredeck seating further enhance the exterior living space. 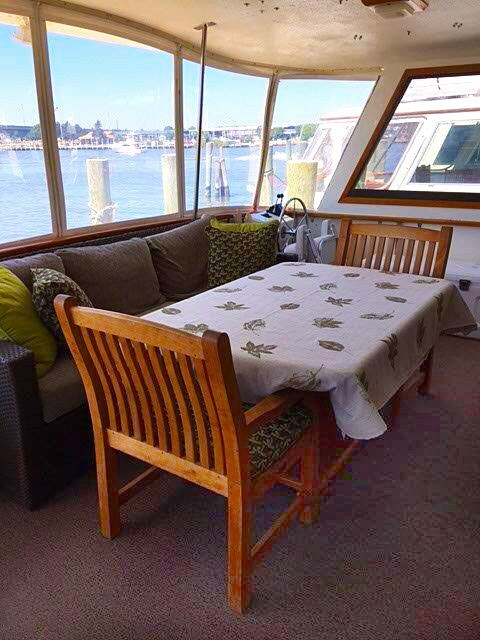 The distinctive interior includes a traditional wheelhouse with port and starboard deck doors, and lush seating. 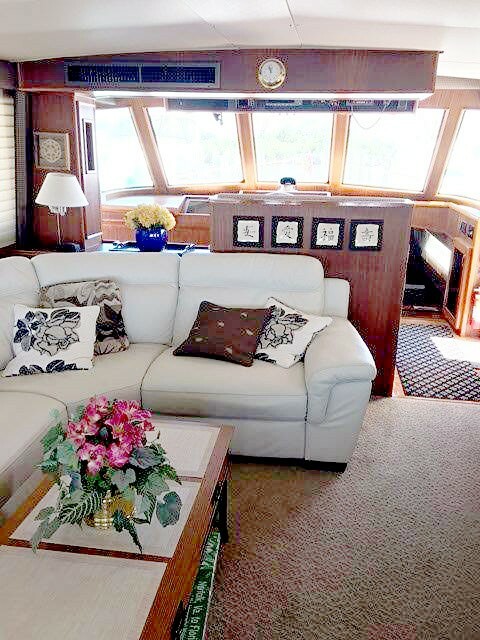 The vast salon is fitted with a sizable L-shaped settee, and entertainment console with flat screen TV. 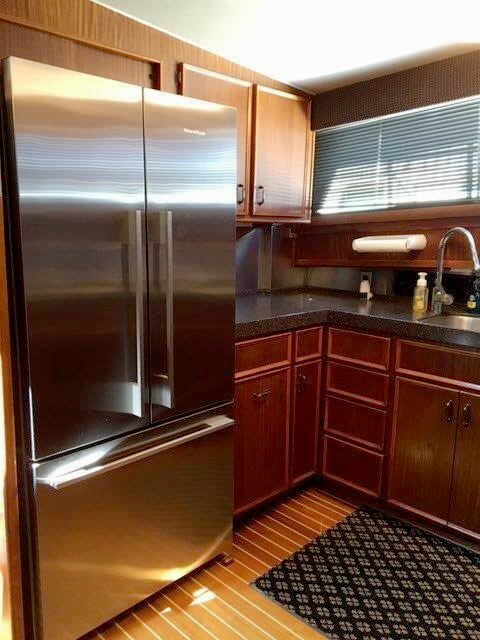 Doors lead to the welcoming aft deck with dining table and wet bar. 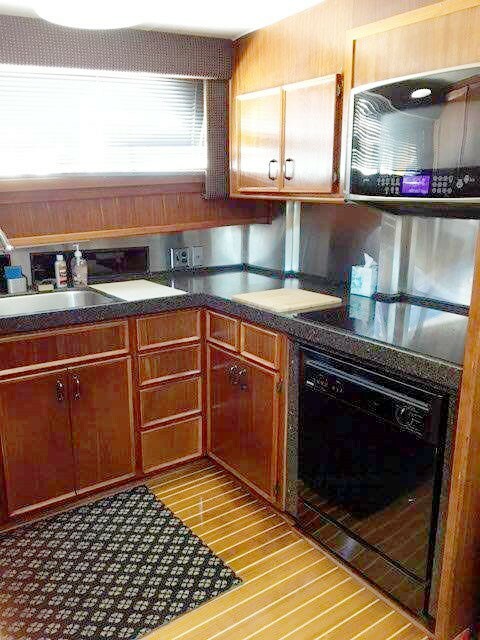 The impressive galley is down; equipped with full-size refrigerator/freezer, electric cooktop, dishwasher, convection/microwave oven, stainless sink, ample counter space and plenty of storage. 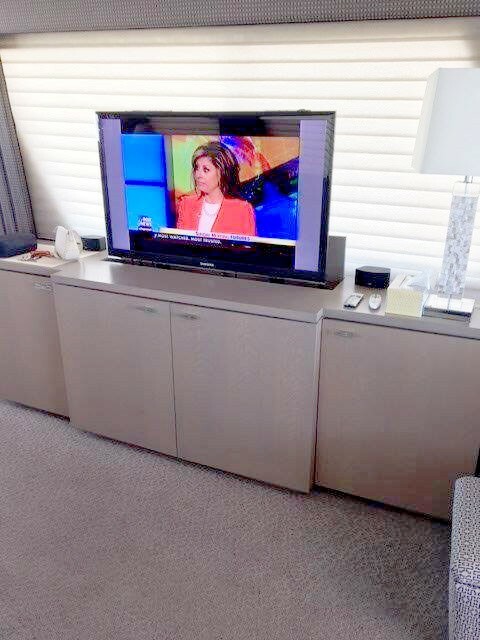 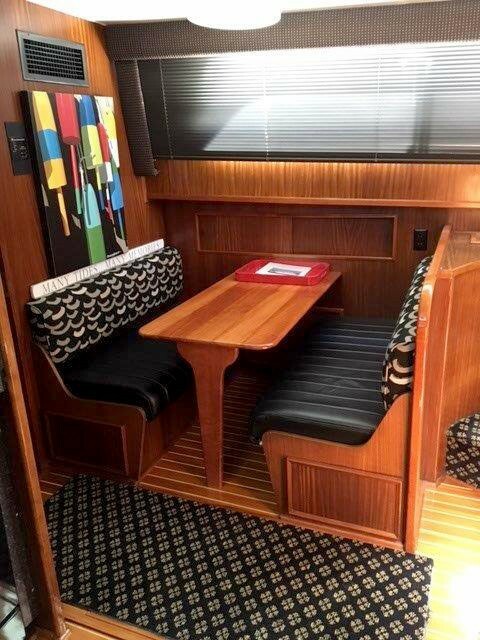 A roomy dinette also serves well as office or game space. 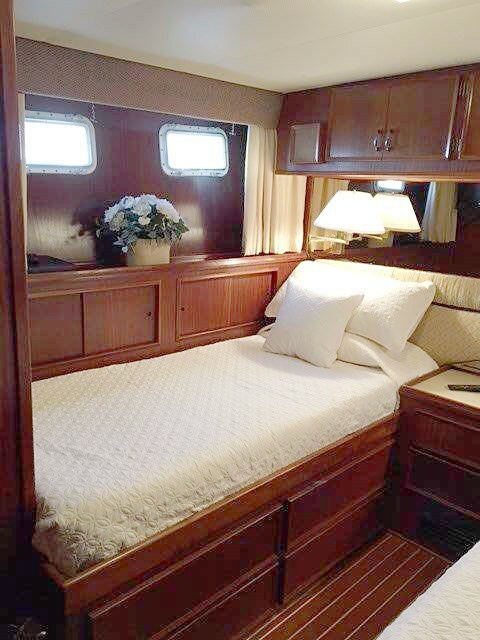 Forward is a comfortable guest stateroom with single bunks and convenient en suite head. 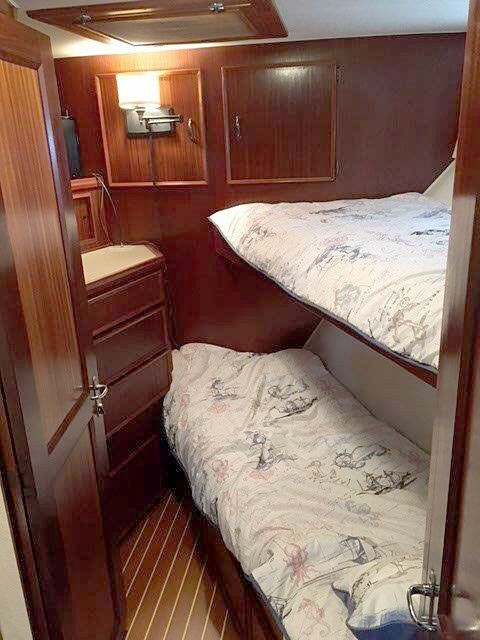 To port, the classic VIP guest stateroom features twin berths and distinctive cabinetry. 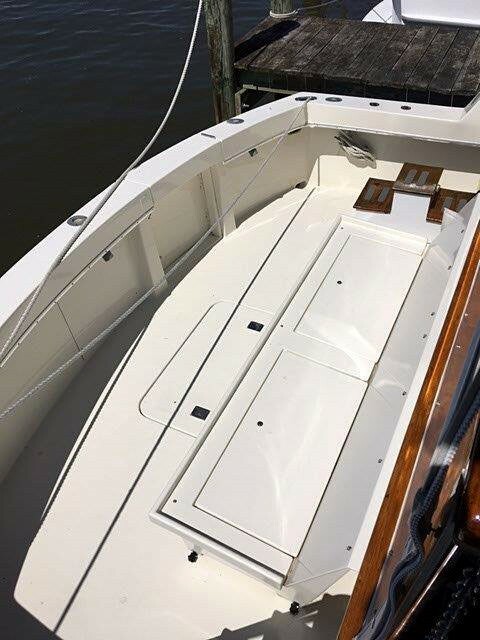 The guest head with shower stall is positioned to starboard. 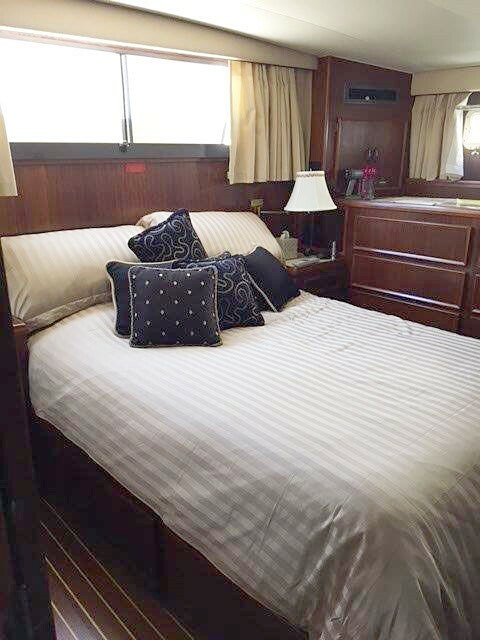 The elegant and spacious master stateroom, aft, is configured with an island queen berth and traditional cabinetry. 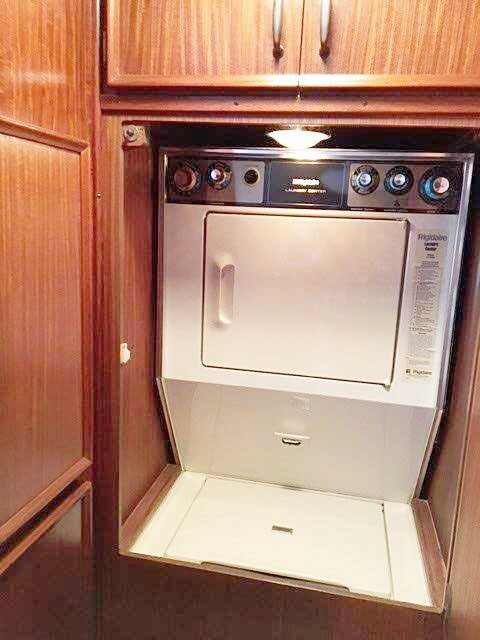 The en suite head includes a tub with shower and vanity sink. 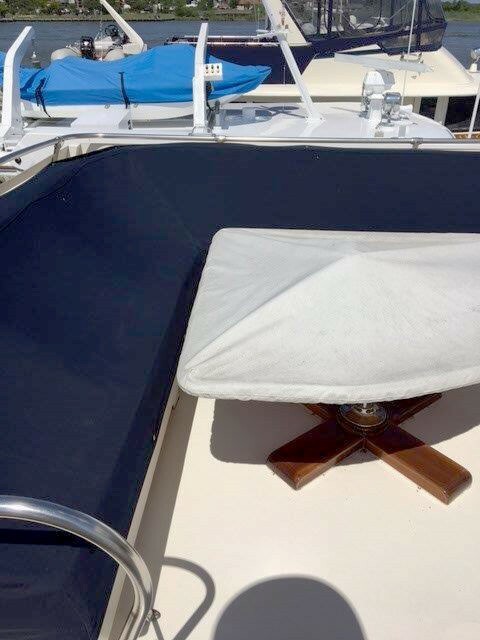 “Time Out” provides trademark quality components and assures comfortable cruising for your charter vacation.